Basic select rhythm patterns of Brasilian Music traditions steeped in West African Cultural traditions popular and traditional. 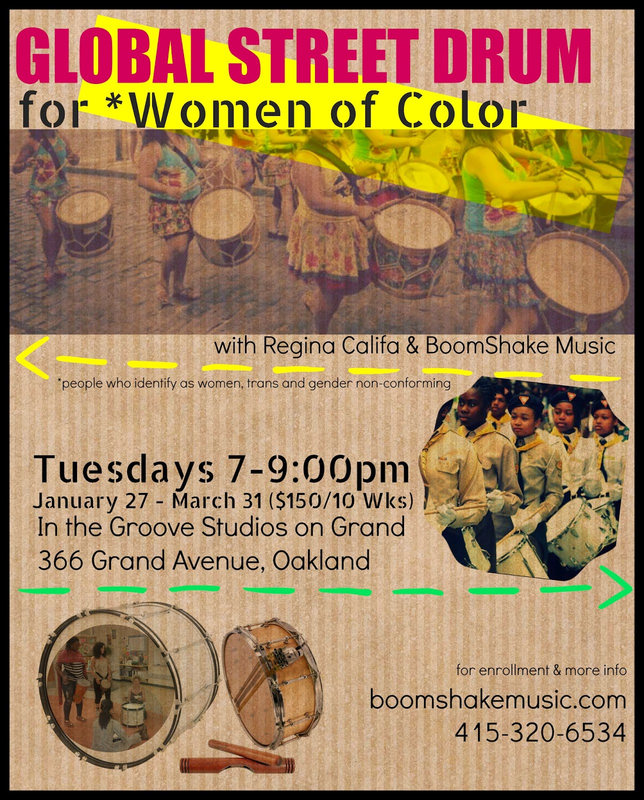 >>Introduce basic rhythmic patterns to facilitate learning experience of African Diaspora Drum combos – Samba Reggae, Drum line influences and Ijexa. >>Students will discover through cultural narratives an enriching learning experience that incites passion for learning to Drum and play music--culminating into group ensemble experience. Diata Diata all female drum core, founded by the late Malonga Casquelourd; Award winning Grupo Carnavalesco Fogo Na Roupa, served as a 17 year member & retired Associate Director with Carnavalesco, founded & Directed by the late Carlos Aceituno and a participating member of Women’s wing of Loco Bloco initiatives working closely with Artistic Director Heather Watkins. Highly sought after Arts In Education Instructor and Resident Artist, she works as a Programming consultant working for Oakland and San Francisco Unified Districts, Charter Schools and School of the Arts Institutions culminating into a 10 year tenure of service.